Remember when the biggest fear to your wallet was a pickpocket? In today’s world of virtual wallets, online banking and e-commerce, cybercrime is rampant and the rising instances of such thievery have no boundaries. Its worldwide reach can (and does) impact businesses of every size and industry, individuals of any age and gender. For most, terms such as cybersecurity and fraud protection are not new. Companies have introduced comprehensive procedures to directly address these issues and protect customers’ personal information. The efforts are not one-time changes, but require ongoing monitoring and enhancement because no sooner than one virus is cured, hackers are onto the next breach. Whether a real estate professional, home seller or business owner, the caveat “buyer beware” has certainly taken on new meaning. Every person involved with settlement transactions needs to recognize their possible vulnerability. At the center of all protective efforts is creating awareness and instilling the importance of vigilance. Personally, we have spent countless hours educating staff and clients of the risks with positive results. If you’re like me, what matters most is how to protect clients and even your family from such cybercrimes. The most important piece of advice for anyone is to be vigilant. In the real estate settlement world, fraud most often comes in two forms—wire instruction alterations and illegitimate email addresses. In both instances, virtual pickpockets are searching for access to personal and private information. Knowing some of their common tricks enables us to enhance internal security procedures and provide valuable ways others can protect themselves. What many don’t know is that wiring instructions rarely change. Therefore, if you receive such a notification, contacting the banking institution or settlement company is a good first step with a clearly recognizable telephone number. The recipient’s account information should also be confirmed, and as cyberthieves have call-back verification techniques, companies are turn- ing to the use of hard copy for wire instructions. Spam, phishing and spoofing are email terms we have become familiar with over the past several years. While not new, tips for recognizing such fraudulent messages can never hurt. Professional banking and lending institutions generally do not use free, public email account domains such as Yahoo, Gmail, Verizon or Comcast. Further hints include incorrect grammar and spelling, suspicious attachments or links and urgent requests, to name a few. While these may be the two most common areas of concern, real estate transactions are wrought with potential fraud. Other areas that should draw concern involve the validity of powers of attorney, authenticity of signatures and the legitimacy of offshore wires. So, as we face the daily barrage of emails and cyber risks, we end on one unquestionable note: In the event you suspect any unusual activity has occurred relating to either your email account or a wire transfer, contact a trusted professional immediately. 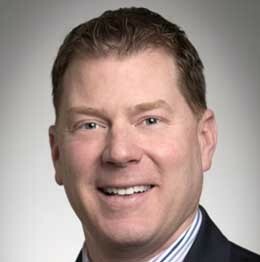 Keith Langan is executive vice president with Surety Title Company, LLC, a locally and independently owned title insurance company headquartered in Marlton. Langan plays an integral role in all aspects of the business, including operations, marketing and sales. He is also engaged in the strategic planning for the company’s future.